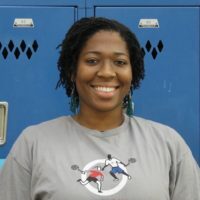 Nnemoma joined StreetSquash in 2015. She graduated from Howard University in 2014 with a BS in Psychology and went on to earn a Masters of Social Work from Columbia University in 2016. Nnemoma previously worked with the organizations So Other Might Eat, Wediko Children’s Services and was a social work intern at P.S. 55 in the Bronx. Nnemoma served as an MSW intern at StreetSquash and as Academic Coordinator for Teams 6 & 7 before assuming her current role in 2018.